Things just got very exciting over in the world of PlayStation. Sony has announced the next generation of PlayStation which, as predicted, will be known as PlayStation 4, or P54, at its Future of PlayStation event in New York on 20 February. 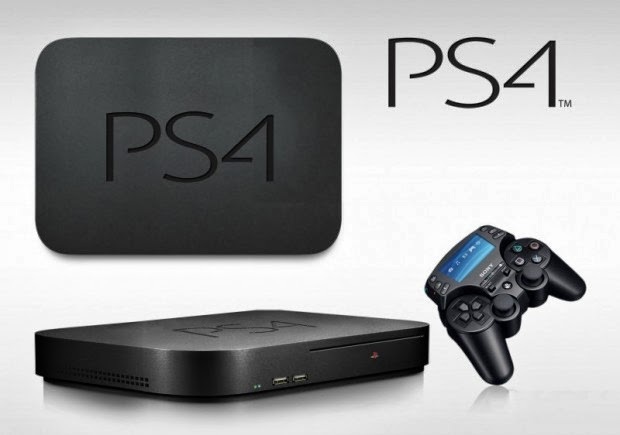 The Sony PlayStation 4 will feature a single-chip x86-64 AMD Jaguar 8-core processor and 8GB of GDDR5 RAM. It closer to PC architecture, with a PC-like graphics processor in the form of a 1.84 teraflops AMD Radeon graphics engine. However, don't think that super GPU equates to 4K visuals, it's been confirmed that the P54 will not output games at UHD, only photos and home movies. It has been confirmed that there will be a hard drive on board for storage, although the capacity has not been detailed. We guess there will be different capacities at different price points. There will be a physical optical drive in place, with support for Blu-ray and DVD. In terms of communication, the P54 will have an Ethernet connection, Wi-Fi b/g/n and Bluetooth 2.1 on the wireless front and HDMI, analogue AV out and an optical digital output. There will also be USB 3.0 connections. Streaming & Connected Play Much has been made of the streaming and downloading capabilities of the P54. Although the PS4 won't be backwards compatible with PS3 game discs, you will be able to stream older titles to the console, with Sony saying its looking at making the library of more than 3,000 PlayStation 3 titles available as part of its long-term strategy. But in terms of PS4 games you'll be able to download and sample games from the PlayStation Store. Again, you won't have to wait for games to fully download, with Sony saying you'll be able to start playing as soon as you have the first part of the download, with the rest of the game downloading in the background, thanks to the incorporation of Gaikai's cloud technology. Talking of background downloads, the 1354 will be able to update games in standby mode, although we assume you'll pay a price in power consumption if you choose to do this. One final bonus is that Sony has now confirmed that the P54 will play pre-owned titles. The second-hand games market will be happy. Shared Gaming Much has been made of the social and connected gaming experience, so you'll be able to share your gaming sessions, with "always on" video compression and decompression to give you seamless sharing. A partnership with Ustream announced that will host P54 gaming action. 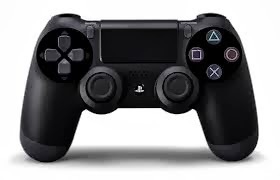 There will be a "Share" button on the new DualShock 4 controller that will let you scan back through the last few minutes of gameplay, and then let you upload that content whilst you resume playing. You'll be able to hook-up with Facebook to make sharing simple via existing social networks. There will also be a 3.5mm headphone socket on the new controller that will make chatting during gaming easier, but you'll also get spectator modes and the ability to call in help from friends who have completed games, letting them take over control if you're particularly stuck on a particular game element. Expanding the PlayStation experience wider. Sony has also announced wide compatibility with other devices. The PS Vita is at the forefront of these experiences, naturally, with a Remote Play feature. Remote Play will let you pull content from your PS4 onto the portable PS Vita over Wi-H, so you'll be able to keep gaming away from your TV. It's a bit like the Wii U controller. We've seen this sort of promise before and never really found it to be as ambitious as we wanted, but Sony is stating that the aim is to make "most" PS4 titles compatible with Remote Play on the PS Vita. You'll also be able to browse and buy games from the mobile app. And, as we've mentioned, with background downloads, you'll be able to buy a game whilst sitting on the bus and find it ready to play when you get home. As an extension of the social gaming, you'll also be able to use your mobile device in spectator mode to witness other gamers playing. Sony has ditched the original DualShock design for the P54 in favour of an evolved design in the DualShock 4. It's instantly recognisable as a PlayStation controller featuring the usual array of buttons, however there have been some additions to bring it bang up to date. The Start and Select buttons are now combined into an Options button. Aside from a design difference, there's a capacitive touch panel at the top of the controller, as rumours had suggested. This will give you a new array of options when it comes to interacting with games. The motion controls have also been beefed-up, with a new six-axis sensor. There's also the addition of a 3.5mm headphone socket so you can plug right in, with a bundled mono headset coming with console. You won't always need a headset, however, as there's a speaker in the controller too. There's a light bar on the DualShock 4, so rather than a tiny illuminated red square, you'll be able to see who's who by the lighting on the controller, which should be a great aid when in social games or playing multiplayer games in the same room. This light bar will also be used to convey information during gaming - for example, turning red to show you're critically low on health. Additionally there's the Share button. It might sound like a minor point, but the way that Sony has presented the PS4, social aspects and connected gaming run right to the core of what the new PlayStation is all about. As previously mentioned, you'll be able to share game footage to Ustream, connect with friends, as well as get involved with spectator playing and so on. Sony also demonstrated applications using the existing PlayStation Move controllers, so it looks as though there will be support for some of the hardware you might already own.